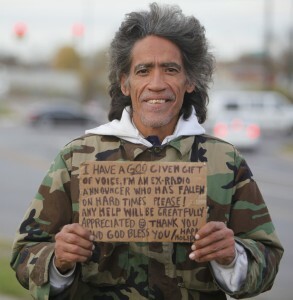 The current news flash about Ted Williams, the homeless man with the great radio voice, should bring hope to everyone who is looking for work. While Ted’s situation is unique, especially since he’s now been offered a possible movie role opposite Jack Nicholson, the point is the visibility he got through the video made the difference. Visibility is key to finding a job. Posting resumes on job boards, various Internet job markets such as CareerBuilder.com, Monster.com, Sologig.com, and Craigslist, is only one part of the visibility need. Network with your friends, tell people you know, join Linked In, create a video resume and post to YouTube for people to view. You never know who’s going to look in the most unlikely spot for a new hire. I’ve read blog posts where many job seekers seem to think using Linked In or some of these other social media resources isn’t worth the effort. I disagree. The more places you post your resume the more visibility you gain, and that means you’re out there for the world to see. Ted Williams is proof that these social media systems work. It’s all about exposure. And the jobs are there. A client recently told me that she heard about a job at an afternoon tea where she was meeting friends. The hostess’s daughter heard that the woman was looking for work and told her of a job opening at a local bistro. The woman checked it out even stopping by to see the place and talk to the employees. A week later, this same woman was looking for boxes for a friend who was moving. She walked into a liquor store asking for boxes and the owner said if she wanted to empty the ones that had just arrived she could have them. Having nothing better to do, she agreed and began placing the items on the shelves. The owner then offered her a job in his store as a clerk/cashier. He interviewed her on the spot, including talking salary and schedules. A third person saw a job advertised on Craigslist, submitted a resume with a cover letter via email and then interviewed and hired that afternoon. Perhaps these are unique situations, but they are real scenarios. December’s national unemployment rate dropped to 9.4%, its lowest since May 2009, according to the U.S. Labor Department. Industry Week reported on January 7, 2011, that “employment rose in leisure, hospitality and health care sectors.” While other areas are still struggling, the positive twist is that people are beginning to hire. So it’s critical to get that exposure and continue the search. It’s also important to get your resume updated and ready to present. Customizing it for the specific job is essential and presenting a cover letter that gives reasons why you’re the best qualified is also recommended. Make sure your resume shows how you added value to previous employers. What projects did you do and what were your results? How did you make a difference to the employer? These are the questions to answer. Sure, it may appear that you’re answering interview questions on the resume, but if five people with the same background are looking for the same position, why should an employer pick you over everyone else? How are you so different that they should interview you? Be prepared. Post your resume to get visibility. Keep plugging at the job search. As our economy slowly recovers from The Great Recession, be one of those who contributes to a lower unemployment rate by finding work in the most unusual situation from a most unique opportunity. Your life could change overnight like Ted Williams’ did. You never know when you’ll be that one special person that stands out from the crowd because you gave yourself that extra visibility. Blog ideas are generated from daily current events, personal experience, anywhere! As a freelance writer ideas are endless, taking the time to write about the ones of greatest interest at the time is the key. Thank you for your comments! I appreciate your feedback. Thank you for your kind words. Our theme is personally customized by an excellent web master. Intimately, the article is in reality the freshest on that valuable topic. I fit in with your conclusions and also will certainly eagerly look forward to your coming updates. Just saying thanks definitely will not just be acceptable, for the extraordinary lucidity in your writing. 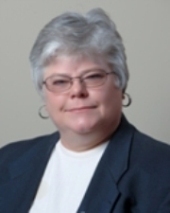 Delightful work and much success in your business endeavors! Thanks for sharing this terrific post, Fantastic stuff…I think you have produced some truly interesting points.Maintain up the good work. A friend of mine recommended me to view this web site couple of weeks ago, since both of us love precisely the same things and I will have to say that I’m really impressed. Great view I recently stumble your blog and have been reading along. I thought I would leave my prime comment. I don’t know what toexposeexcept that I have enjoyed reading. Careful blog. I will keep visiting this blog very each. What are your requirements for syndication of your articles?We would be very interested in translating a couple of your sites content into for our sites subscribers, and wondered what your stance on this would be. I will add proper acreditation.